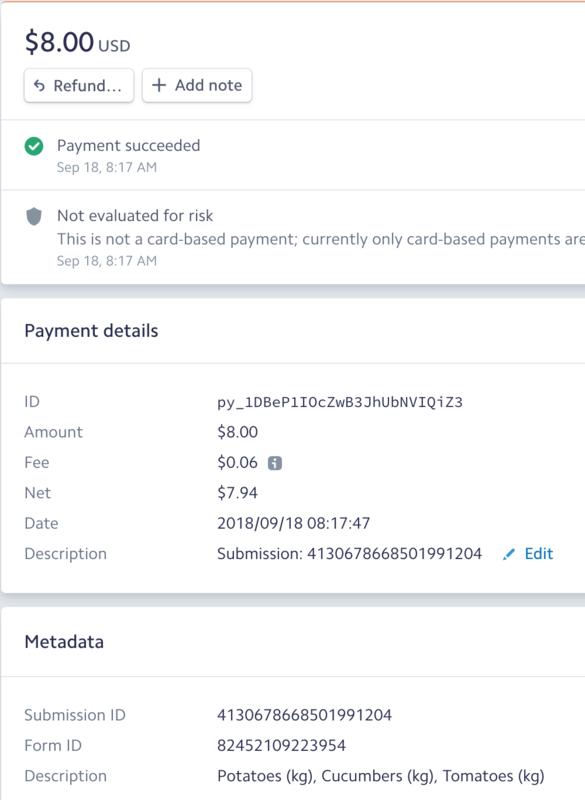 How to integrate Stripe ACH to your form? Automated Clearing House (ACH) payments allow you to receive payments directly from a customer’s bank account instead of using credit or debit cards. ACH payments are provided with lower fees than card payments but also require additional payer verification and introduce longer delays of payment and refunding. Plaid is used for bank account verification to get ACH payments with Stripe. ACH payments require a verification process for payers' bank accounts. Plaid allows payers to instantly verify their bank accounts allowing them to be charged immediately in this process. This verified bank account is used by Stripe later for the charging process. 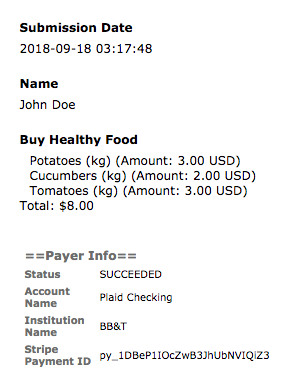 How does Plaid's bank account verification process look on JotForm? What can you do with JotForm's Stripe ACH Integration? How to integrate your forms with Stripe ACH? 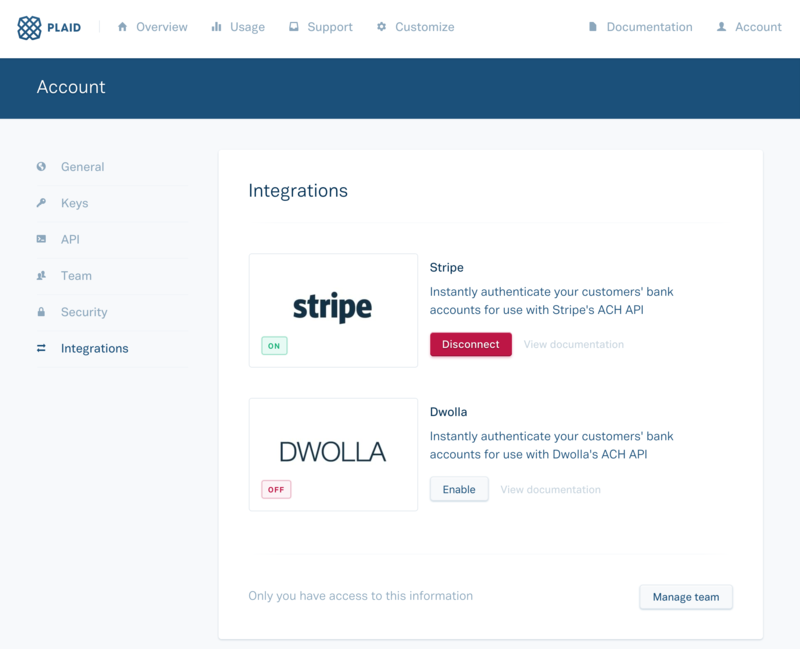 1-) Login to your Plaid account, head over to integrations section from your account menu and Enable Stripe Integration. 2-) Get the integrations keys from keys section. Get client_id, public_key and the appropriate secret key for the environment you would like to use from Secrets section. Note: In order to test the integration without a real transaction, you need to aim for the Sandbox environment. You can process real transactions using Development and Production environments. You can find more info related to the environments at your Plaid dashboard overview. 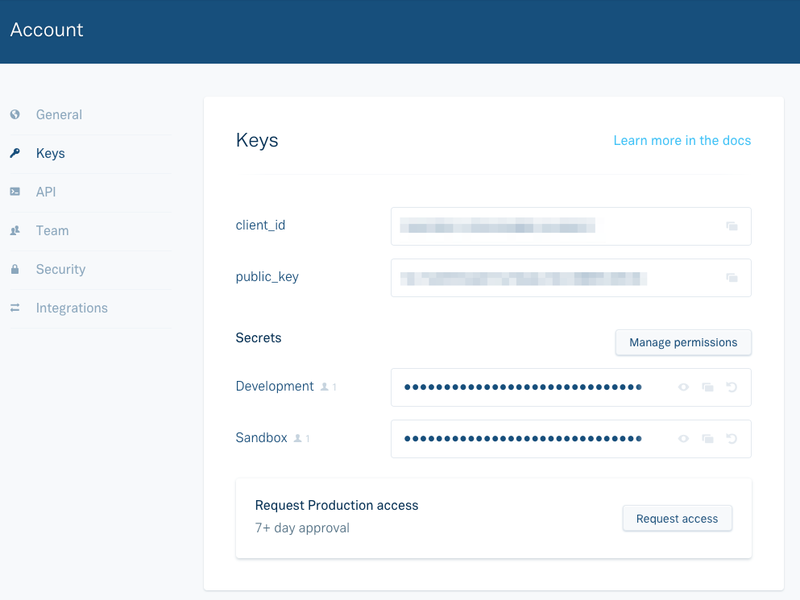 3-) Login to your Stripe account and get your Stripe Secret Key from developers/apiKeys section. Note: If you are going to use Plaid's Sandbox environment, you need to use Test Secret Key from Stripe. If you are going to use Plaid's Development or Production environments, you need to use Live Secret Key from Stripe. 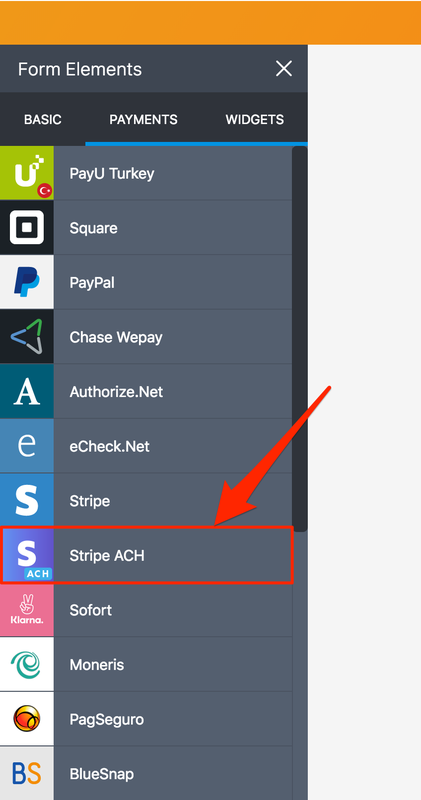 1-) Find and add Stripe ACH from payments section of the left panel. 2-) Add the credentials you obtained to the right panel. 3-) Inside additional gateway settings section, make sure the environment is set accordingly with the credentials you provided. The submissions will initially appear with the status "PENDING" in the submissions page of your form. If you want the status to be changed automatically to "SUCCEEDED" once your Stripe account receives the payment, please do the following instructions you see in the payment integration wizard (right panel). Stripe ACH only supports US Dollars. You can select one of the payment types in the payment type dropdown menu. 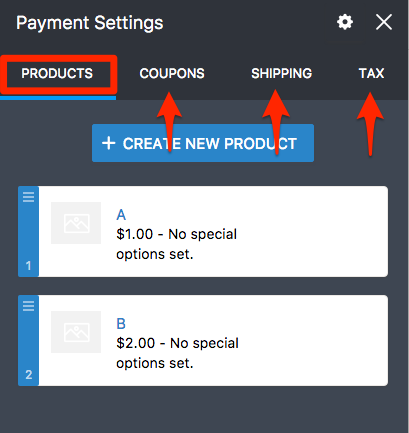 - If you select Sell Products and click Continue, you will create your products, coupons (optional), shipping (optional), tax (optional) in the next step. You can also add image, quantity, options etc. to your products in this step. - If you select Collect Donations or User Defined Amount, there is no next step. Your integration will be completed. After the bank account verification is made on the form, the payer submits the form and the charge is made on the verified bank account afterwards. The payment will appear on your Stripe account with Submission ID in the description. You will see Submission ID, Form ID and the description of the purchased products in Metadata section. You can view payer's account name, institution name and the payment id on the submissions page of your form alongside other submission data. 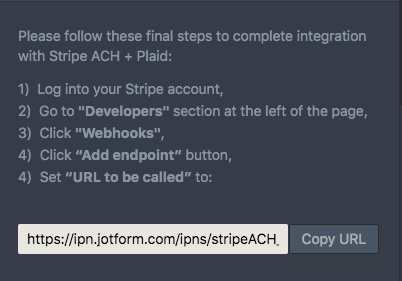 If you have any questions or suggestions about JotForm's Stripe ACH integration, feel free to post them in the comments below. How to Clear Your Form Cache? How do I change my account type from professional to basic?